The Boar are doing ok. Travelling about the Forest of Dean the diggings at the roadsides are at their usually low-rating or "obviousness" for summer, as it has been for the last 5 years. The population is low, low, low..... perhaps below 100 now. Piglets are being born faster than ever to catch up to ecological capacity! Piglets in June!!! Never before have the Forestry Commission created such a disaster with their ill-founded unscientific lust to kill the boar. The Tindle scaremongers at The Forest Review and Forester are quiet on the subject - as they have been every summer since 2010. 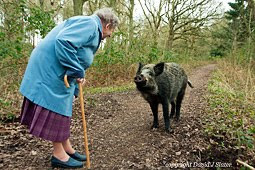 At last, the residents are awakening to the reality and truth of this subject - that Wild boar are an asset and not as dangerous nor as problematic as the Forestry Commission and anti-wildlife residents in the Forest of Dean would have us imagine. Reintroduction programmes are all the rage now! 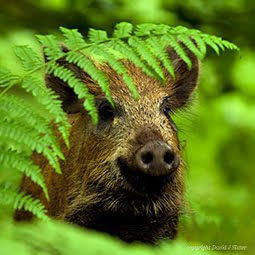 And it comes as a sort of cathartic process to us at Friends of the Boar, that we have been correct all along, not just with the Wild Boar and their effects on "our" forest, but where we see "the public" accepting other reintroductions of perhaps less sizable and less notorious species. Take just one example - The Water Vole. An upsurge of interest in this animal has exploded across the media and Internet pages over the last 5 years too - just like the boar. One is small and furry, the other is large and pig-like. 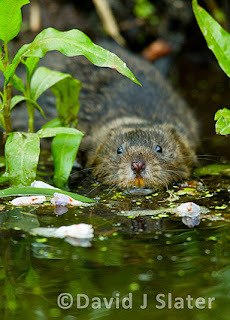 Re-introduced water voles are populating many nature reserves at the moment. 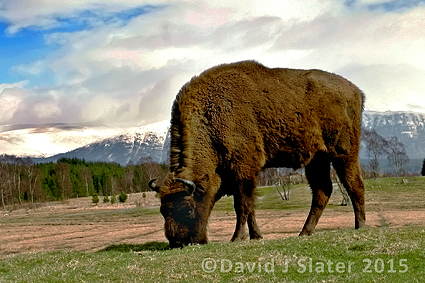 They are being bred in captivity by consultants such as Derek Gow and released on site. Mink surveys were supposed to have been undertaken beforehand, but the mink often reappear when the food does. Losses of 90% of the water voles' original (?) extent due to a contribution of habitat loss and mink predation grabs the "Consensus Reality" headlines. No evidence is ever produced of course. It is convenient for this programme to get its advocates aboard the gravy boat! And there is lots of gravy here, thanks to the EU. Does anyone say that 99.9999999% of the Wild Boar are now gone! No. Of course not. There's little money in Wild Boar, especially from the EU pot. And DEFRA does not care about the environment at all - it's all about the money and Corporate support from the likes of the NFU to them!!! The wild boar money didn't arrive because the reintroduction was without scientific or community consensus and now funding bodies turn their back. So too did (and still do) the Wildlife Trust, RSPB, Mammal Trust and others we contacted for support back in 2011. They can't bite the hand that feeds them, which in the Forest of Dean is often the Forestry Commission. 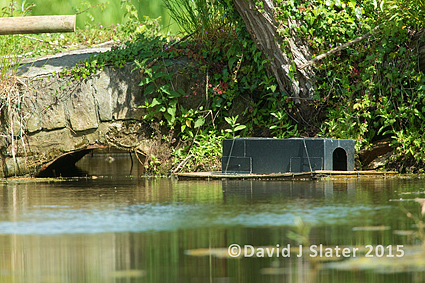 And what is this Water Vole boat? A boat of mass destruction of mink. Bloodlust, where game-keepers and neck-breakers come out of the wordwork appearing to be conservationists. Neck breakers and between-the-eyes shooters of stoats and weasels and anything that water voles don't like. Architects of the countryside of course! Mink are enemy number one after mink farms released them accidentally into the countryside. Over to Slimbridge and the WWT. Accidental reintroduction there of the Common Crane leads to what? Of obliteration of habitat of warblers and anything that likes cover so that the cranes see the foxes approaching! But we digress and must keep this short, in case the reader gets bored - his conditioning may be to only read executive summaries and not the details!!! Back to the Water Vole then. An army of mink-killers patrols the Wildlife Trust reserves around the country. Blood lust is now the name of the game for conservation. It always has been, secretly of course, but it is surfacing like never before. "Mink Rafts" like this are checked daily for footprints or captives. 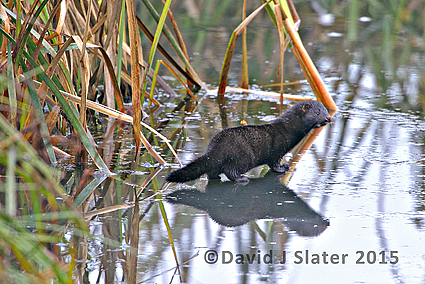 Otters are usually released if caught but if mink are found it is illegal to release. Other captives are at the discretion of the game keeper. In the name of conservation, more animals are killed than saved. THIS IS FACT!!!! Volunteers are getting involved in this killing machine. Game-keeper mentality has taken over. Minks have taken the old niche of the polecat and pine marten, but still, the mink must go! We don't like things with teeth and a lust for blood do we - ummm, let's not count people in this argument - humans are un-natural to some, from outer space or somewhere ? We're special though aren't we Mr Vole Man? And despite being natural or alien, our gardens, roadside verges and lovely thoughts about nature MUST be "conserved" at all cost. Favourite reserves, once barren of interest, now has furry little foreigners re-introduced to their land, and everyone is salivating at their hard fought afterthought. Devotees are not quiet anymore. The Vole is NATIVE!!! The mink is NOT! Kill the mink, kill the Stoat, the Fox, the Weasel, the Polecat. Most stop short of killing the real problem species like the HERON, the BITTERN, SNAKES, KESTRELS, OWLS, DOMESTIC CATS and HUMANS!!! All this will be stated at you on "their" patch, as you watch over their shoulder amusingly as the Prezwalski Horse grazes the exotic grasses of the Local Wildlife Trust reserve, a Little Owl screeching in the background and the rabbits and fallow deer nibble at the edge of the field as a pheasant flaps noisily overhead, landing on the banks of a man made ditch by the tarmac of a road. The behavioural adjustment machine of DEFRA and the neo-environmentalists aggressively belittle anyone not conforming to their paradigm of Water Vole conservation! Let's get back to how it used to be they will propose. Water Voles used to be here God-damn It!!! "The community voice has spoken and your opinions are not worthy unless you agree", they seem to say under their self-righteous breath. But so did Wild Boar! "But they are big and dangerous, they invade crops, and won't they eat water voles? They all wonder. I wonder if they know that water voles also eat crops and are treated as pests in some European countries? And don't they realise that water voles are food for the predators. Stock the larder and the diners will thrive be it mink or kestrel or adder. Get rid of the mink by all means - but be sure to reintroduce the polecat in its place, or the otter. Stop the neighbouring pheasant keeper trapping weasels and stoats and allow these predators back too. "Sod the rest of the ecosystem, sod humanity, this is about ME. ME, ME and my photos and my status on this reserve as some expert in his / her field", is what they really wish to say. When you meet this type of self-appointed conservationist, be it Mr Joe Blogs or a reserve manager for the 21st Century trendy "educational" Wildlife Trust Reserve manager and its minions of volunteer scouts, you wonder about their wider knowledge of wildlife, history, archaeology and political shenanigans that led us to this point. We often alert the would-be expert about the latest strap line species to be thrown into the ditches of a wetland reserve, such as the Water Vole. We alert to the fact that native species include WOLVES, HYENAS, BEARS, LYNX, PINE MARTEN, GOSHAWK, and other killers of Water Voles. 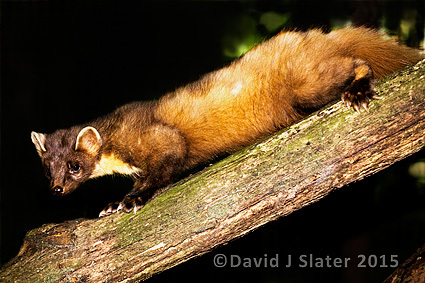 Pine Martens need to be re-introduced over much of Britain and may also see off the mink. 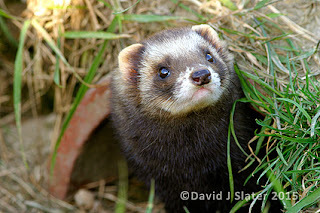 Polecats were once widespread and need to be reintroduced to control rodent populations in many places. of course the Wolf, a sadly missed predator to our shore. The look you get back is priceless. "We made the problem so shouldn't we do what we can to correct the problem?" 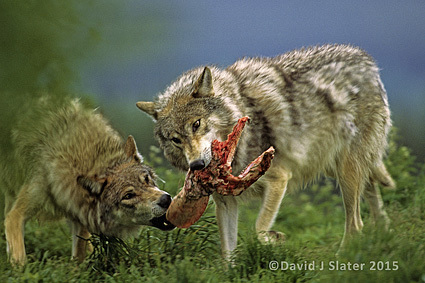 This is what the "neo-cons" advance next to dodge agreeing the wild boar and wolf are also needed on their "vole" reserve. If we must destroy mink because they are not native, then surely we need the reintroduction of the above animals and of course the boar to rid this island of those infernal PHEASANTS, RED-LEGGED PARTRIDGES, FALLOW DEER, GREY SQUIRREL, EDIBLE DORMOUSE, CATS, DOGS , BUDGERIGARS, SHEEP, COWS, TURKEYS, CHICKENS...... and last but not least....GARDEN FLOWERS ! But we agree that man is the true problem - and it's mainly his thinking that does the most the damage, unwittingly granting public license to the gamekeepers. We hope they can see the similarity between vole and boar - and do let's destroy anyone with pretentions of being God Almighty - stop them making the ecosystem chaotic with all this killing to save one species! Shouldn't we now allow the Boar to be reintroduced and kill all of the boars' enemies, just as the Water Vole advocates are doing with such gusto and mouth-dribbling concern. Kill the monarchy, the aristocracy, the Forestry Commission!! Not our words, but surely those who wish to preserve their acre of genetically impure and re-introduced water voles? The boar are doing well despite the simpleton thinking of some amateur "conservationists". Conservationists that we feel would be the first to demand the death of the Wild Boar because they may also eat Water Voles, or Adders, or dig up some butterfly larval food plant as part of its survival in an ancient process called woodland ecology. Let the animals get on with their lives. Humans have enough to sort out amongst our own species. Kill off the non-native humans? Kill off those killing the re-introductions! Ask these people to repeat themselves, letting them know that man killed off the water vole, not the mink. Man killed off the Wild Boar too - for fun, sport and a Crimbo meal fit only for the privileged. Man is the problem, and you cannot the solve a problem with the thing that created it - Einstein's words, not ours! This sounds alarmist we agree, but listen to the hypocrisy of how humans react when a pet and lovingly furry creature gets introduced to the "pet's corner" or "biodiversity subsidy stream" of your local Wildlife Trust Reserve and you will understand how we feel when it comes to Wild Boar - or the wolf or lynx or hyena or bear, any other species with a long history of acceptance and known ecological advantage such as the wild boar has - and you will understand our frustrations. It's not that we're against the water vole but it's the hypocrisy that baffles us in our attempts to understand people and why they believe what they do when it comes to the environment. Awaken to the majesty and beauty of the Wild Boar and all the benefits it brings to our woodlands and communities.